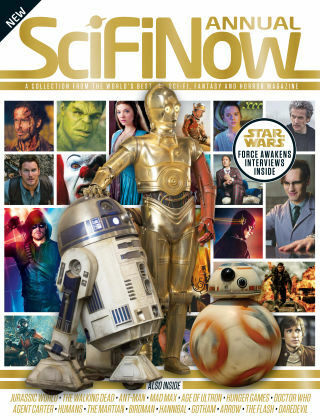 With Readly you can read SciFiNow Annual and thousands of other magazines on your tablet and smartphone. Get access to all with just one subscription. New releases and back issues – all included. The Force is awakening. It is a given that sci-fi causes a stir no matter what its format. But nothing quite makes as big a splash as Star Wars. Celebrate one of the biggest years in science fiction in recent years. From the new Star Wars film to DC's TV revolution, reflect on one of the greatest genre years to date. Featuring: The Force Awakens - Get the latest from the stars of The Force Awakens prior to the film's release! The best films! - From Mad Max to Age Of Ultron to Jurassic World, explore this year's surprise hits! TV highlights - As Arrow shoots straight into the limelight, relive this year's best TV. Let's do the Time Warp again! - Look back at the best of this year's Time Warp!